Another German automaker was dragged into the scandal over harmful emissions from diesel engines Thursday -- at least on the stock market. Shares in BMW (BAMXY) slumped 8% to their lowest level in two years after a German magazine reported that at least one model had breached European pollution limits by a huge margin in road tests. Auto Bild said the BMW X3 xDrive 20d had produced 11 times as much nitrogen oxide as permitted in independent road tests conducted by the International Council on Clean Transportation. The scandal erupted Friday when U.S. regulators revealed Volkswagen (VLKAY) had cheated pollution tests on 500,000 vehicles by programming them to produce fewer emissions than they do in normal driving conditions. Since then, the world's biggest carmaker has admitted there could be problems with emissions in 11 million vehicles worldwide. Its shares have been slammed, CEO Martin Winterkorn has resigned, and prosecutors in the U.S. and Germany are considering legal action. The action by federal and California state regulators against Volkswagen had its origin in research conducted by the ICCT into emissions from three vehicles: a VW Jetta, a VW Passat, and a BMW X5. The Jetta and Passat cars produced way more nitrogen oxide than permitted. The BMW X5 was "generally at or below the standard, and only exceeded it during rural uphill operating conditions," according to the ICCT. Auto Bild appears to be referring to a separate set of tests. 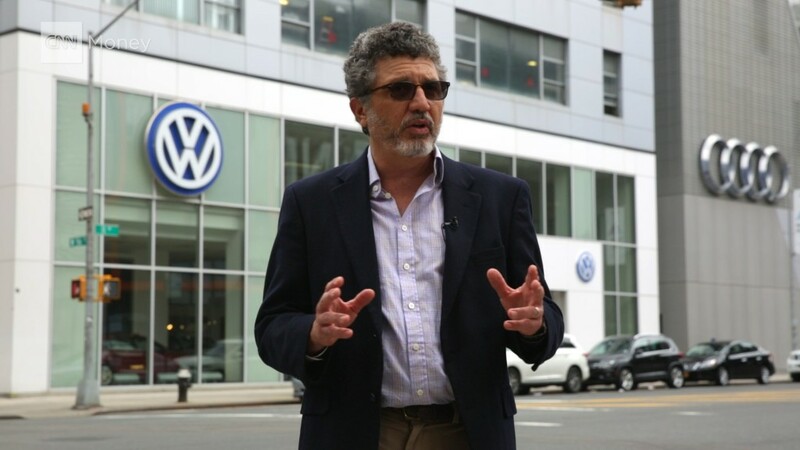 "All the results indicate that this problem is not specific to VW," Auto Bild quoted ICCT expert Peter Mock as saying. BMW said it was not familiar with the BMW X3 road test mentioned in the article. "No specific details of the test have yet been provided and therefore we cannot explain these results. We will contact the ICCT and ask for clarification of the test they carried out," it said in a statement. The company also repeated that it does not manipulate or rig any tests on its cars. "When it comes to our vehicles, there is no difference in the treatment of exhaust emissions whether they are on rollers (eg. test bench situation) or on the road," BMW said. It's a measure of how nervous investors are about the potential fallout for European automakers that the stock was so hard hit in early dealing. It has lost about 40% since March. "Shares in BMW are weak again today on speculation that its diesel emissions test results may also have been doctored to appear eco-friendly and thus saleable in the world's second largest but arguably the most important car market, the U.S.," said Mike van Dulken, head of research at Accendo Markets.